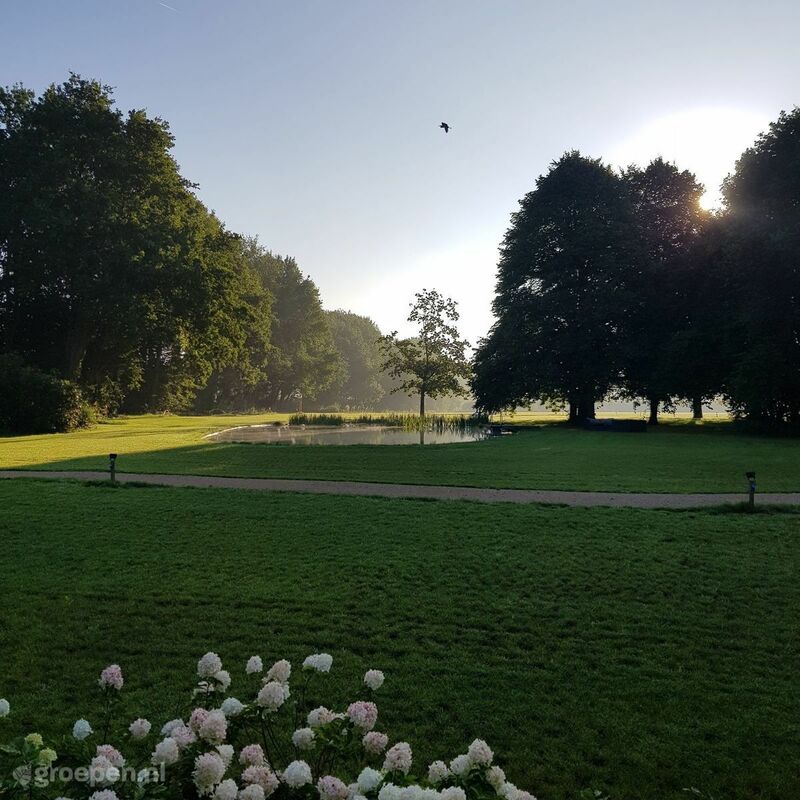 You will find this luxury group accommodation for 24 people just outside the center of Baarle-Nassau Surrounded by calm, space, and nature, you will certainly not be found wanting. Whether you are going to this accommodation with or without children, you will surely have a great time! The group accommodation has 8 bedrooms. When you are with a group of more than 16 people, extra beds will be added to the bedrooms. Each bedroom has its own bathroom. You can relax in the lounge with library. You can also enjoy a beer or another drink in the bar together. You also have a large, open kitchen with all amenities. The panoramic view over the large, scenic garden with swimming pond is the cherry on top. Bringing your family? 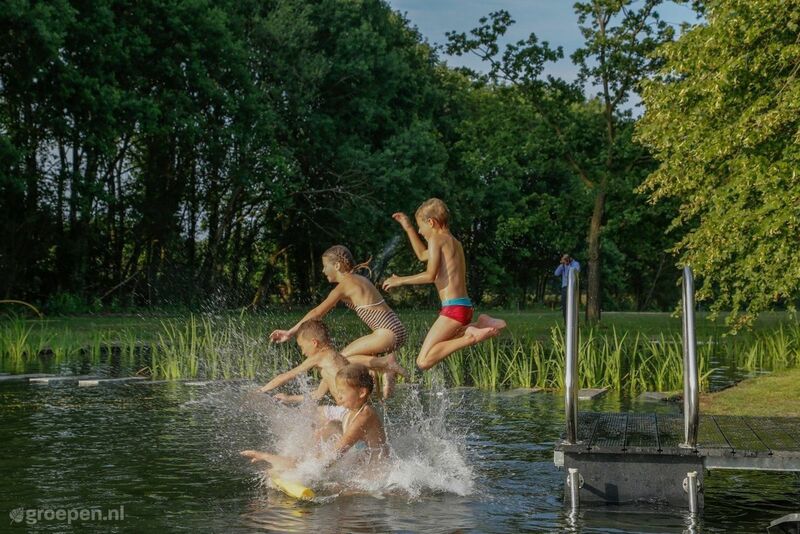 The children can play carefree in the scenic garden, the (heated) swimming pond, or in the surrounding nature. Pets are not allowed. The area has various cycling routes, which will lead you along the enclaves, landscapes, and picturesque villages. In addition, the wooded area is perfectly suited for a long hike through nature. Right next to the property, there is an outdoors company where you can do various activities. Our guests rate this accommodation with an average of 9.4. On the side you will find the latest 5 reviews. Die Sauberkeit und der Service der Eigentümer waren fantastisch. Die Trennung von Aufenthalts- und Schlafbereich ist für Gruppen mit Kindern toll. 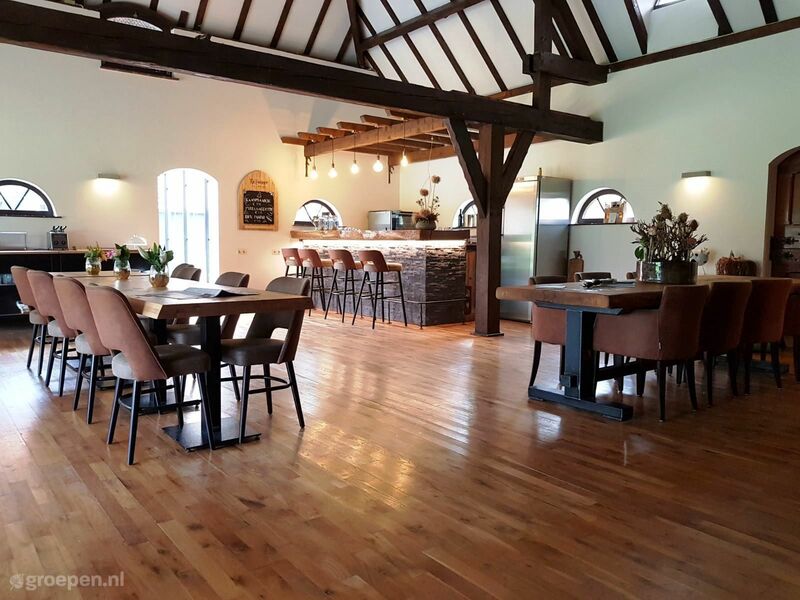 January 2019 - Friends - Peter M.
Deze accommodatie combineert een zeer mooie en gezellige gemeenschappelijke ruimte met luxueuze kamers. Ook de ligging is fantastisch: midden in een groene omgeving met verschillende wandelpaden in de buurt. November 2018 - Families - Marjolijn D.
October 2018 - Families (with children) - Helga H.
Slaapgedeelte is afgescheiden van eet- en leefgedeelte, wat geluidsoverlast ten goede komt. Ieder zijn eigen badkamer is super comfy. De zwemvijver en hele buitengedeelte is gewoon een dikke plus. 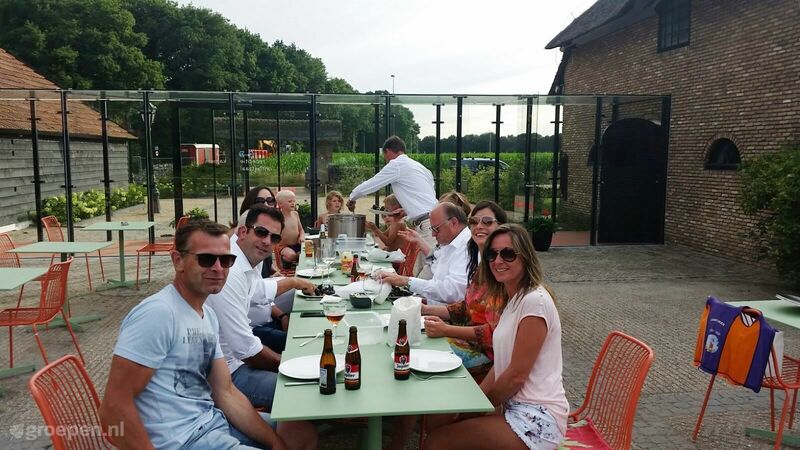 April 2018 - Friends - Isabel V.
We konden met onze groep van 16 (8 vrouwen en 8 mannen) geheel ons zelf zijn. Wanneer nodig stonden de beheerders voor ons klaar. April 2018 - Friends - Peter H.